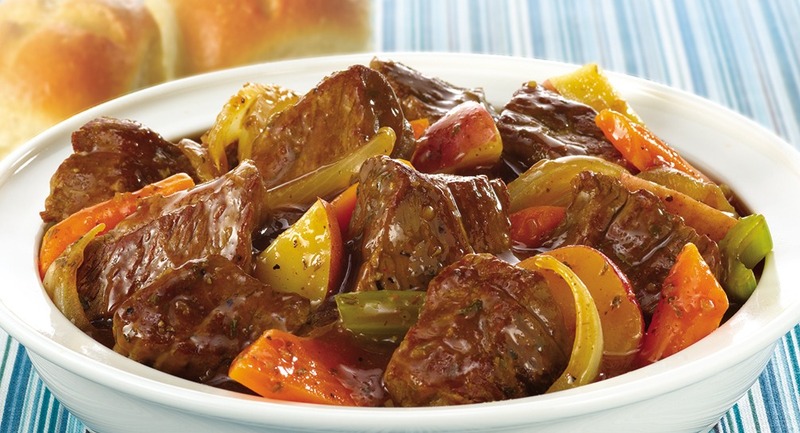 Put the beef in the slow cooker with carrots and mix with a package of beef stew seasoning, 2 tbsp of flour, 1 tbsp of chili powder and 1 sachet of beef bouillon. Stir the mixture until evenly mixed in the slow cooker. Add 2 cups of water and 3/4 can of beer and stir. Add the carrots, potatoes and celery in the slow cooker. Cook on the stew on high until the potatoes are tender, then turn down the heat to low for the last hour of cooking (cooking time around 6 hours). *If using electric pressure cooker like an Instant Pot, use “meat / stew” setting and allow for additional 15 minute cool down. Adjust the flavouring with salt, pepper, garlic powder and / or chili powder while cooking. Stir, taste and adjust to your liking. Add thickener if needed (cornstarch or flour to small bowl with a little warm water to make a paste), avoiding clumps in the stew. Drink your favorite beer while cooking and watch your favorite sport. Every Sunday is crockpot Sunday and NFL day at my house! Serve this Beer Beef Stew with homemade biscuits, craft beer and enjoy with your favorite people. Cheers! These vinaigrette recipes are so tasty, it will make you forget you’re eating salad.